All Rights Reserved: All text, pictures and videos on this site are owned by Deerwalk Foundation, a not-for-profit organization based in USA and Nepal. 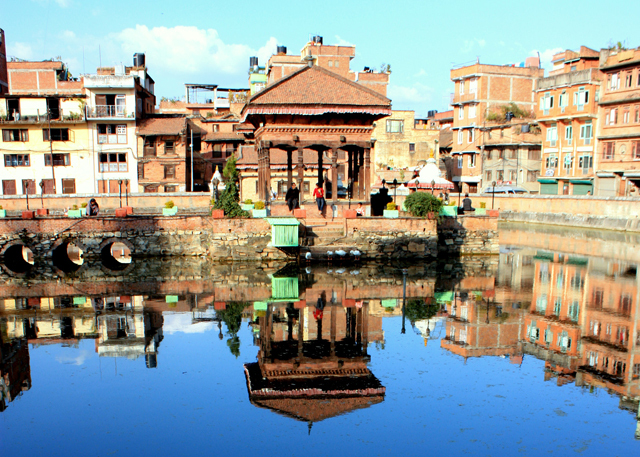 Pimbahal Pokhari is beautiful pond with a small krishna temple at the center is located in the heart of Patan. Locals says that the rani pokhari in kathmandu was modelled after this. The myth behing the origin of the lake that most locals believe is at one point during the past, the residents of Lalitpur faced acute water shortage. At that time, there lived a maiden with beauty so enchanting that even the demons were overcome by her charms and on the request of the philanthropic maiden, the demons built the lake for the benefit of the residents.